Artificial intelligence and robots are likely to create more new jobs than they destroy, researcher Ben Pring predicts—and more interesting ones, too. Does it make you nervous that automation has rapidly replaced humans in a startling variety of roles, from the factory floor to hospital operating rooms to stock trading on Wall Street? If so, cheer up. The future may not be so dire after all. 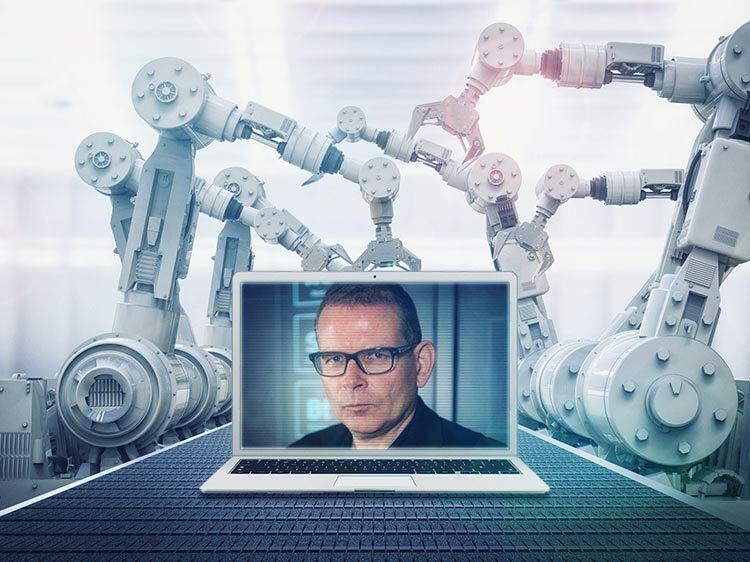 Despite what he calls the “doomsday analyses” you may have heard, Ben Pring sees two reasons why we’re not all about to be kicked to the curb by smart machines. Director of the Center for the Future of Work at digital strategy consultants Cognizant, Pring is co-author of What to Do When Machines Do Everything: How to Get Ahead in a World of AI, Algorithms, Bots, and Big Data. First, Pring points out, most jobs are a collection of tasks, only some of which are likely to be automated—usually the parts that people view as routine drudgery, which means less tedious work for humans. Monster recently spoke with Pring about the skills you will need as artificial intelligence makes more inroads in the workplace. Q. What advice would you give someone trying to plan a career right now? Are IT skills a big advantage? A. There certainly will be tremendous growth in jobs connected to the technology of AI, like data science, robotics, and software engineering. But if you’re not an IT person, you can cultivate a different type of advantage. [Billionaire entrepreneur and investor] Mark Cuban said in a speech recently that he’d rather have a degree in philosophy right now than an accounting degree. He meant that what gives you an edge in this rapidly changing business world is being able to see the big picture and combine ideas in an imaginative way. This is something machines can’t do. They are good at imitating and replicating and doing vast numbers of calculations very quickly, but it will be a long time before they are really able to innovate. Q. Besides creativity, what else gives job seekers an edge? A. Well, it helps to keep in mind that artificial intelligence is just a tool. The same way we all had to learn to use Microsoft Word and PowerPoint and so on, everyone should try to get to know the technology around artificial intelligence and get comfortable with it, so you can understand how it’s being used. In whatever field you happen to be in, whether it’s marketing or finance or human resources, AI is being developed and deployed in ways that you can learn about and keep up with. You can do enough homework to ask well-informed questions about it in interviews. That is a sure way to impress employers. It shows you’re looking ahead and you want to keep your skills up to date. Q. What kinds of jobs do you envision AI creating over the next couple of decades? A. We’re doing research at the moment on the jobs that don’t exist yet. The whole idea that “we’re all going to be replaced by robots” is wrong-headed, because it assumes a static economy, which ours is not. People are endlessly inventing the next new thing, and learning to build on it. One of my favorite examples is the invention of the lawn mower, in 1827, by an English engineer named Edwin Budding. It suddenly meant grass could be cut, easily and uniformly, into a space that could be used as a playing field. You can trace the worldwide sports industry, now a $620 billion business, directly back to that one innovation. I call it the Budding Effect. Or look at the raft of job categories that, even just a few years ago, would have been hard or impossible for anyone to predict: social media consultants, search-engine optimizers, full-stack engineers, content curators, hackers-in-residence, and the list goes on and on. In much the same way, AI will lead to the creation of many more jobs than we’re able to imagine right now.